Floor - Cliffside Gray, Chair - Hamilton Blue, Cladding - White, all in Arborcoat Solid. 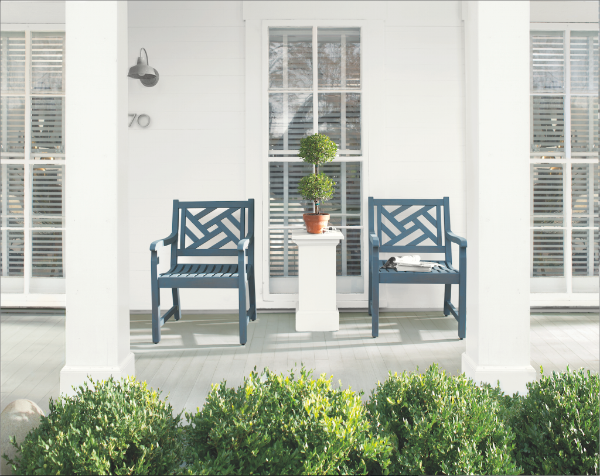 Early spring is the time to start planning exterior projects, so we are excited to be able to preview to our followers the forthcoming launch of Benjamin Moore Arborcoat� wood stains. Arborcoat extends the life of all types of exterior wood, from windows, doors and cladding to decks, summer houses, sheds and fences. 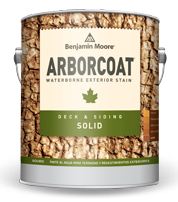 Using next generation technology, Arborcoat has been formulated to penetrate, protect and beautify wood without obscuring the natural beauty of its grain or texture. Available in a timeless palette of driftwood greys, warm russets and woodland greens, Arborcoat Semi-Solid and Solid stains can be used on both soft and hard wood surfaces. Cladding and windows - Black, Decking - Mystic Gold, both in Arborcoat Semi Solid. 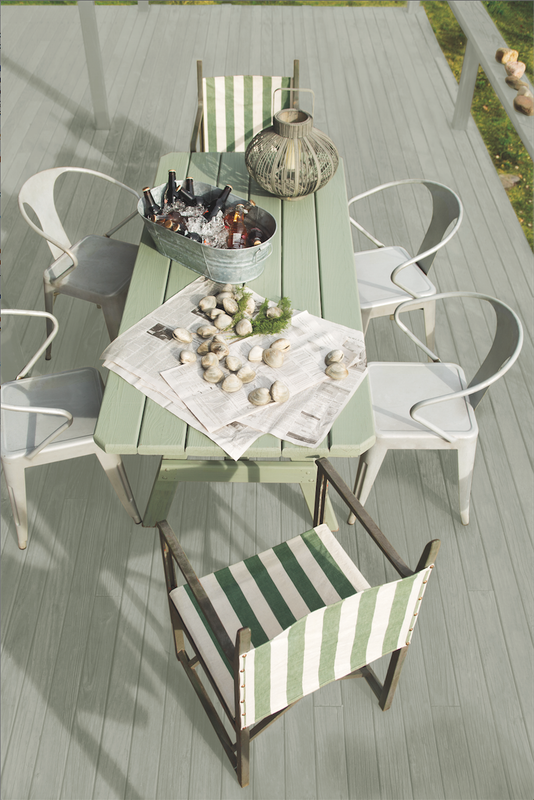 Deck - Imperial Gray, Arborcoat Semi Solid, Table - Ferndale Green, Arborcoat Solid. Available initially in three finishes; Solid, Semi-Solid and Clear, this water repellant coating is based on proprietary water-based resins which are designed to protect the wood from harsh UV rays and, with the help of our unique water-based Gennex pigments, Arborcoat offers superior colour retention, fade resistance and depth of colour. Arborcoat Semi-Solid is a "semi-transparent" flat finish that allows the natural grain and texture of the wood to show through. Available in 75 shades, from stunning natural tones to refined neutrals, this stain will work with and complement the natural texture of the wood to create a beautiful finish for your exterior space. Arborcoat Solid is an "opaque" matte finish that masks the grain of the wood without obscuring the texture. Also available in 75 shades, you can get more creative and bring a new level of sophistication to your exterior wood. Arborcoat will also be available in a clear finish. 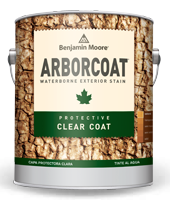 Arborcoat Clear Coat can be used as a protective clear coat over the Semi-Solid or Solid finishes, or on its own to protect without colouring the wood. Cladding - Black, Arborcoat Semi Solid. 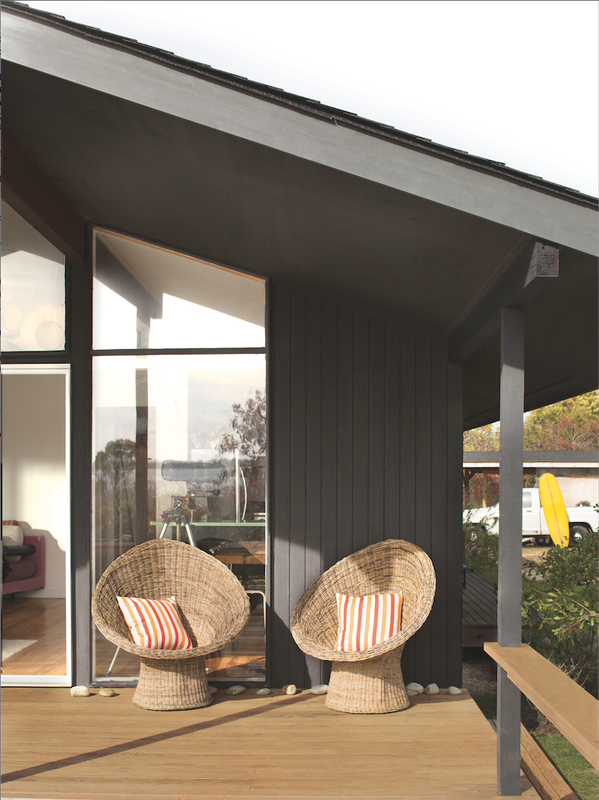 Decking - Beige Gray, Arborcoat Semi-Solid. 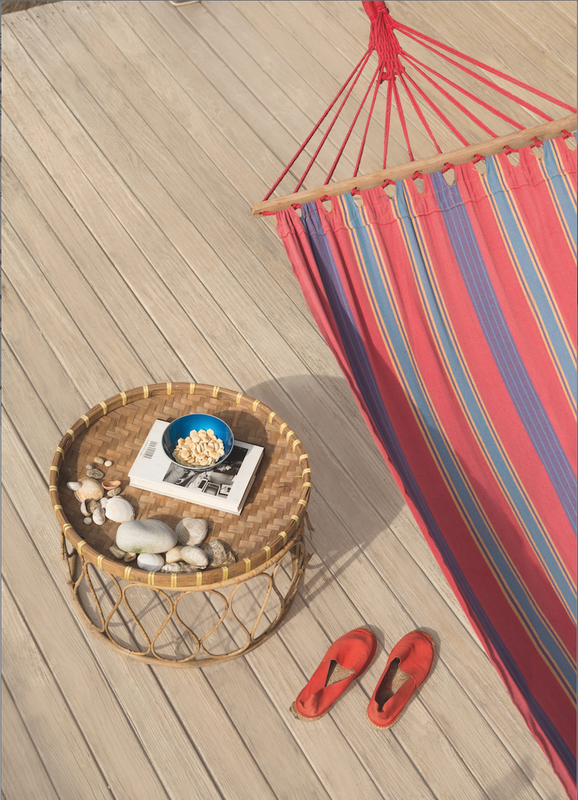 Whether you�re looking to refresh exterior doors, windows, furniture, decking, cladding, fences, sheds and summer houses, the stunning finish and quality of Arborcoat will ensure your exterior wood looks better for longer, no matter the weather. 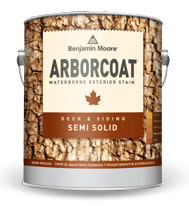 Arborcoat will be available in the UK from the end of March. Arborcoat gets put through its paces at our New Jersey test farm. 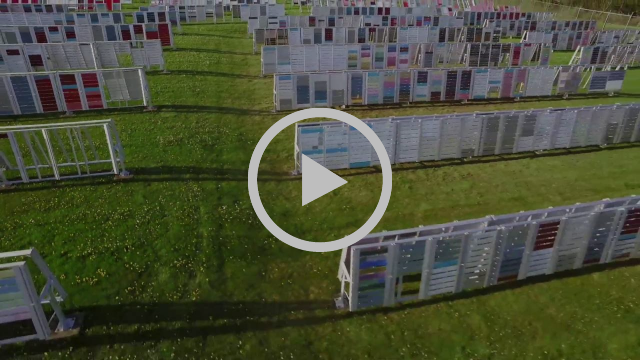 Please note - the colour card shows all the Arborcoat finishes available in North America. We will initially offer the water-based Arborcoat Solid, Semi-Solid and Clear Coat in the UK.